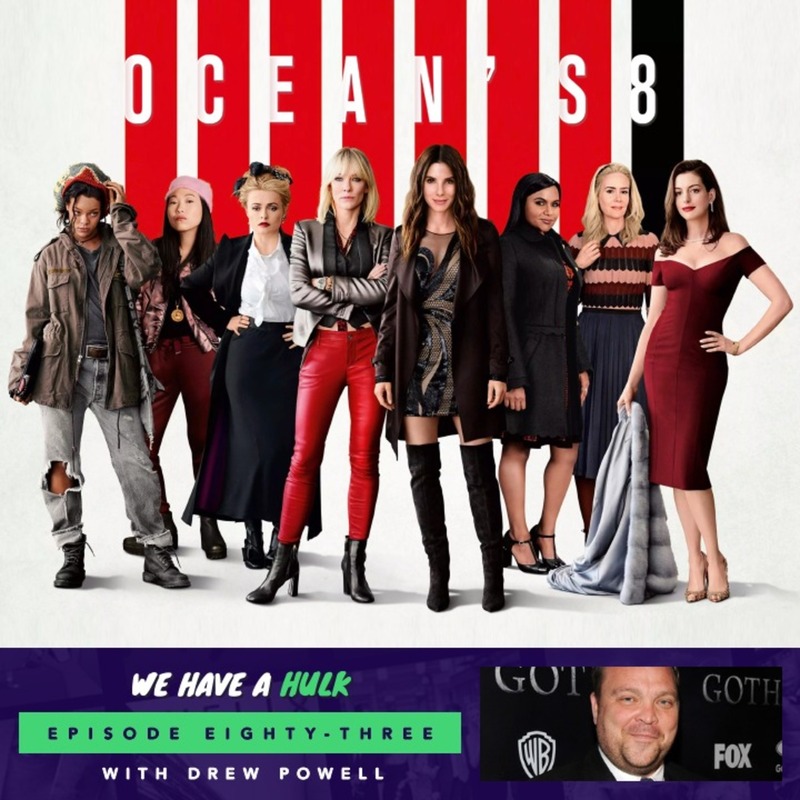 In this weeks episode we review the latest addition to the Oceans franchise – Oceans 8 featuring an all star female cast. We’re also joined by the lovely Drew Powell who plays Butch/Soloman Grundy in Gotham, who we had the chance to interview at Heroes and Villains Fan Fest London. And in this weeks Hulk Topics we discuss which film franchise we’d love to see remade with an all female cast, enjoy!